3rd Tuesday at 7:30 P.M.
Each year we assist the Reading Lions Club in supervising their Prostate Cancer Event, when men are invited to come along and get a health check for Prostate Cancer. This event usually occurs in March, but this year, 2019, it will take place in November. Further details will be posted in due course. 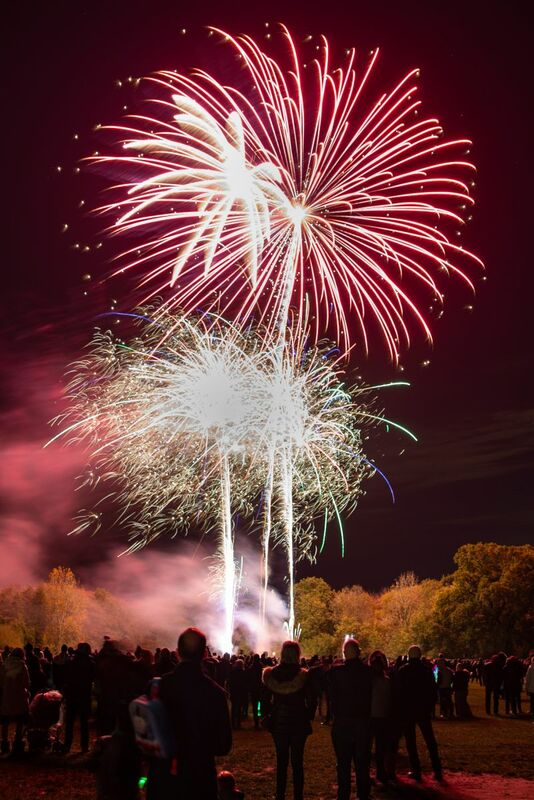 On Saturday the 2nd November 2019 we will be holding our Annual Charity Firework Display at Laurel Park. 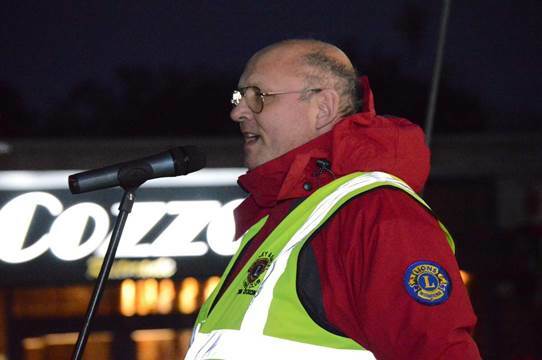 This year it will again be presented by Woodley and Earley Lions Club assisted by Laurel Park Football Club. 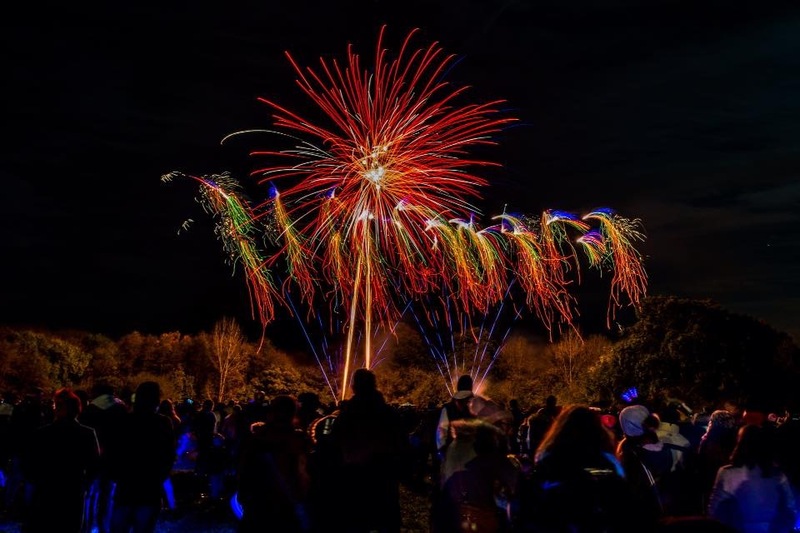 Last year's 20 minute high impact fireworks and music display went off well, and was enjoyed by hundreds of local families. We would like to thank all those who attended for their support, and we are currently trying to find worthy causes for our Charity Fund. 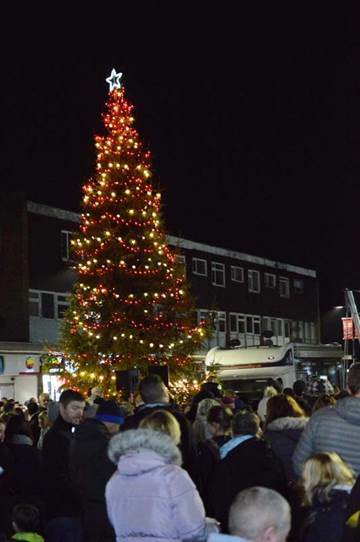 On 24th November, last year, the annual Tree of Light event again took place in the Woodley Shopping Precinct - The Switching on of the Christmas Lights and Carol Concert. 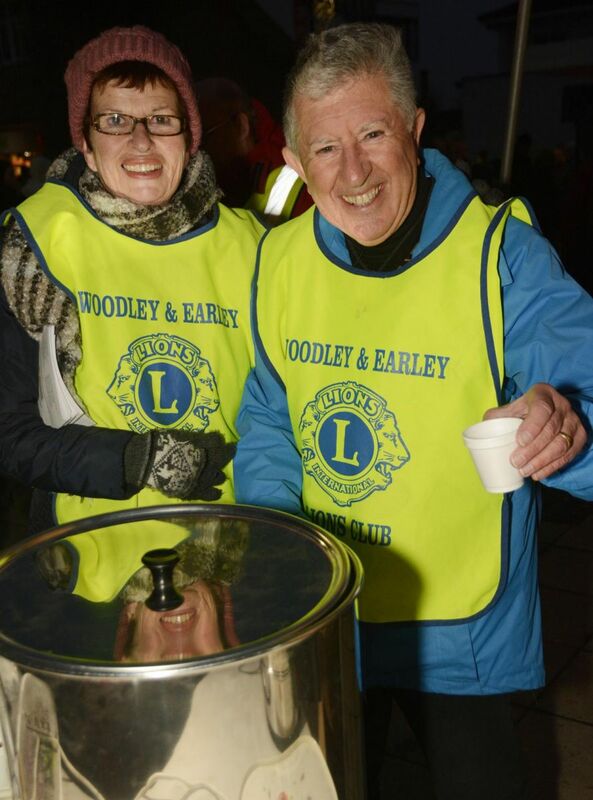 We, the The Woodley & Earley Lions, were in attendance helping to hand out mince pies and mulled wine The event was well attended and many people sponsored messages to loved ones ( alive and departed ), making a donation to our Charity Fund. Thank you for your support. 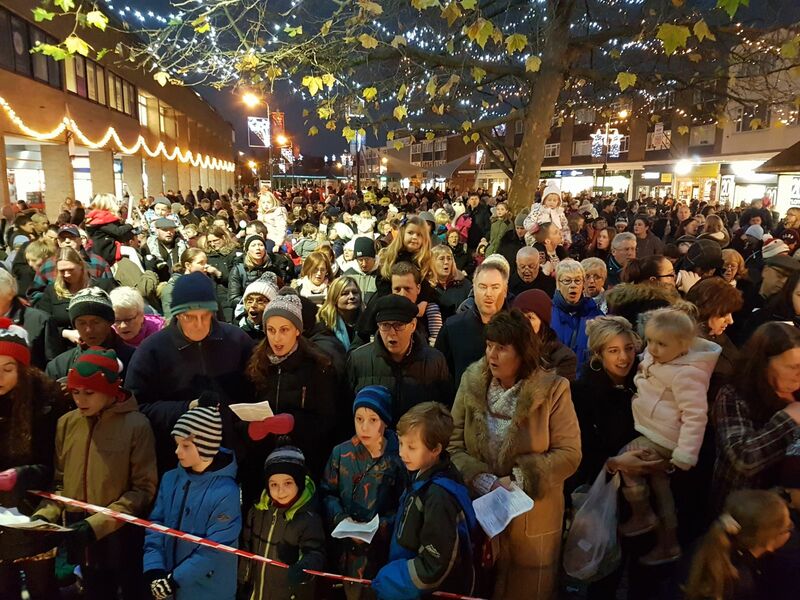 The annual Woodley Extravaganza was held on 2nd December, organised by the Woodley Shopping Precinct Management. 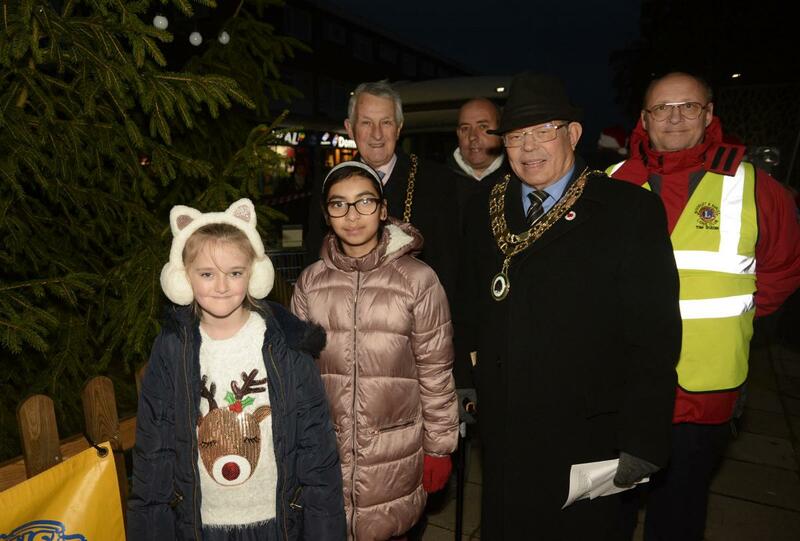 Woodley and Earley Lions were in attendance with Santa's sleigh. 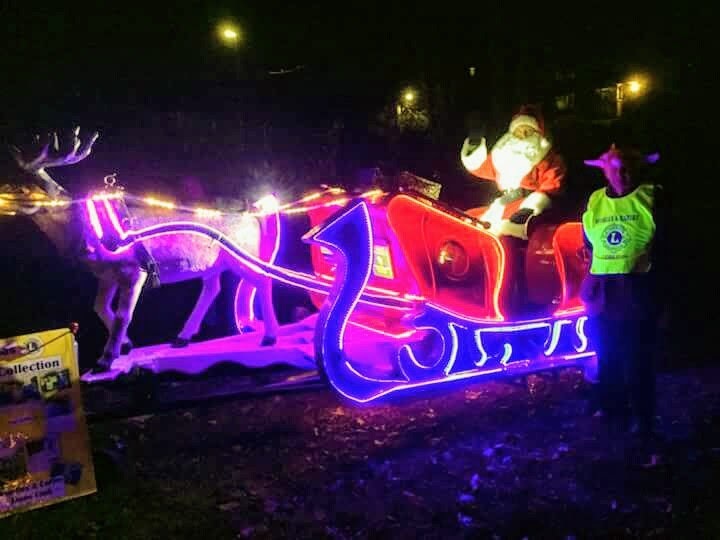 The public were encouraged to sit on the sleigh and use it as a backdrop for festive photographs. Many did, and generous donations to our Charity Fund were gratefully received. Thank you. On March 2nd 2019, we held our annual quiz night at Charvil Village Hall. ( See our Fundraising page). We shall repeat this popular eveny next year. Further details will be published later in the year.